Each plaster provides targeted relief from muscular pain and tenderness for 24 hours. The product has effective pain relieving and anti-inflammatory actions. The active ingredient in Nurofen is ibuprofen; ibuprofen belongs to a group of medicines called NonSteroidal Anti-Inflammatory Drugs, which target towards how the individual parts of your body respond to symptoms like pain, swelling and high temperature. 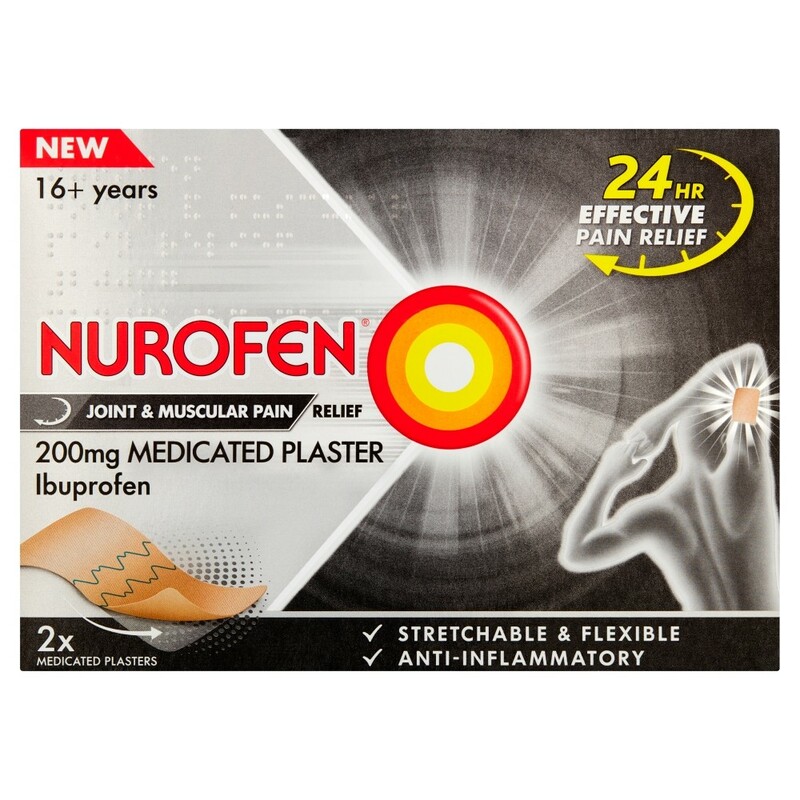 The Nurofen Medicated plasters work similar to a local anaesthetic, delivering ibuprofen which can be applied at the site of pain or inflammation lasting up to 24hours. The plasters are instructed to be used for short term only treatment, treating pains, muscular strains, high temperature or sprains.